Cooking rice in the microwave is cheaper and faster than having a rice cooker. We’ll show you how to cook rice in the microwave, with perfect results, every time. We’ll also show you a secret Asian grandmother trick to measuring the ratio of rice vs. water, without a measuring cup! Why cook rice in the microwave? Cooking rice in the microwave is cheaper. There’s no need for a stand-alone rice cooker appliance to clutter your pantry. Years ago, I invested in a $300 Zojirushi, the mother of all rice cookers. These days, I only bring out that appliance when I’m cooking rice for a large group of people. For family cooking, I use a $14 Nordicware Microwave Rice Cooker that works very well. Cooking rice in the microwave is faster. On average, my $300 fancy pants rice cooker takes about 25 minutes to cook rice. Cooking rice on the stovetop takes about the same amount of time. Cooking rice in the microwave only takes 12 minutes. Cooking rice in the microwave means less cleanup. Cookers designed for cooking rice in microwave are usually 2-parts: a lid and a base. Both are dishwasher safe. My rice cooker has a lid, a plastic gasket ring, a little cup for excess water, and the base. Plus, I have to clean in the narrow crevices of the cooker. Cooking rice in the microwave means less babysitting. If you’re cooking rice on the stovetop, you’ll need to watch the pot until the water boils, lower the heat, cover the pot, then set the timer. Once timer goes off, you’ll have to immediately turn off heat. There’s very little wiggle room with timing when cooking on stovetop. The intense heat under the pot will overcook the rice or create burnt, stuck-in-pot rice that difficult to scrape out. Cooking rice in the microwave tastes exactly the same. At first, I was really skeptical that microwaved rice would be able to compete with my rice cooker. Boy was I wrong. Fluffy, perfectly evenly cooked rice from the microwave. Side by side, you wouldn’t be able to tell the difference between $300 rice cooker or $14 rice cooker. Just don’t tell my husband that, okay? He’ll never let me shop for expensive cookware again. The secret to microwaving rice is to add the right amount of water. Too much water = soggy rice. Too little water = dry rice. Just right water = just right rice. 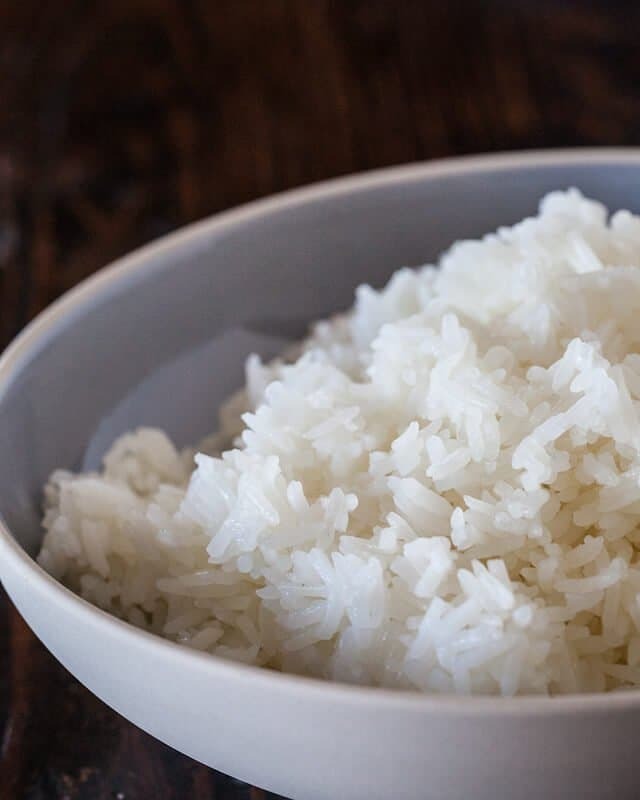 To cook rice in the microwave, you’ll start with a microwave-safe container, raw rice (like basmati, jasmine, or sushi rice). For 4 people, you’ll need 1 1/2 cups of raw rice. This will make about 3 cups of cooked rice. Add enough water to cover the rice by about 1-inch. Microwave for 9 minutes, let rest, covered for 3 minutes (don’t peek!). Note: brown rice and wild rice have different cooking methods. Learn how to cook brown rice in the microwave here. Add the raw rice to your microwave container. Pour in some cool water and swish the rice around to wash it. Carefully pour out the water, keeping the rice in the pot. Just tilt the pot – the water will pour out and the rice will stay at bottom. You can even use your hands to cup the rice to prevent it from spilling out as you pour the water out. Repeat this 3 times more. Your water will be less cloudy each time. Note – the water will never be completely clear – rice is a starch, starch will cloud the water a bit! The purpose of this is to wash the rice, getting rid of any dirt, dust and extra starch that coats the rice. Extra starch on rice makes the rice very sticky and gummy. When you wash it away, you’ll notice a big difference in the quality of the cooked rice. Are you washing away nutrients in the rice? No. Unless you are buying “fortified rice” that’s a processed food. Some companies, like Uncle Ben’s Rice, spray the rice with vitamins during processing. Don’t buy this type of rice…it tastes nasty. Get your nutrients from vegetables and protein, not from a spray. Wash raw rice because it’s dusty and dirty. Once you’re done with the washing, pour the water out again. Now we’re going to add the cooking water. 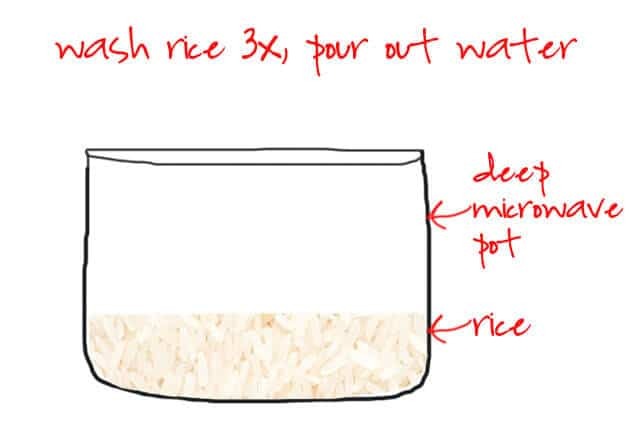 Add enough water so that it covers the rice by 1-inch. Sure, you can break out your ruler and do this, or you can do what my Dad taught me, use your finger to measure. It’s an Ancient Chinese Secret! 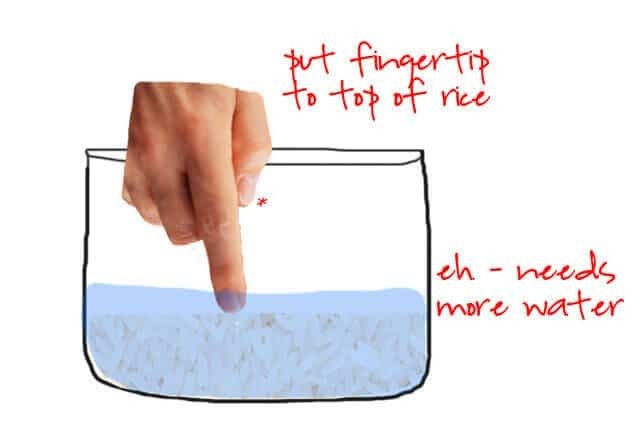 Put your clean finger in the pot so that the tip of your finger touches the top of the rice (don’t go all the way to the bottom – we are measuring from top of rice.) For most ladies (and men with small hands) 1″ is where your first knuckle is. DONE. 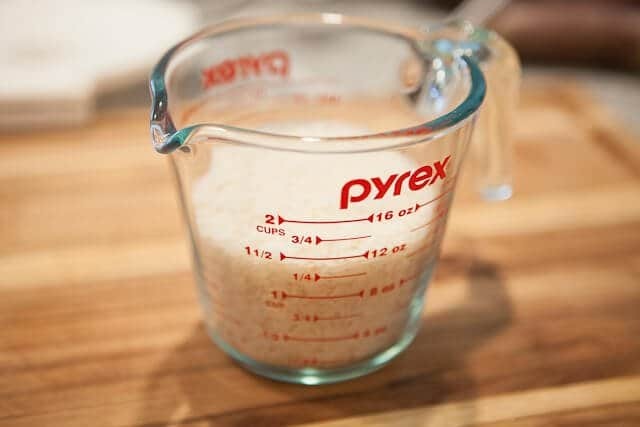 Why is this method superior to measuring cups? The method is the same. Put the lid on. Notice this rice cooker has air vents – this allows the steam to escape during cooking, which is good. If you use a microwave pot that has a very tight fitting lid, your lid will explode off. If you are using a any other microwave vessel (even a Pyrex! ), put the lid on but just set it on top. Corningware glass lids will work fine – the steam will escape between the glass and pot. Microwave for 9 minutes on high. Let it sit for 3 minutes undisturbed to finish cooking. Then it’s done. You’ve now cooked rice in less than half the time it takes, cheaper than my ahem, $300 machine, using less energy than a stove, and you don’t have to babysit the pot. Use a microwave safe dish that is meant for cooking pasta/rice or steaming vegetables. The lid should have a vent. If it doesn't, just lay the lid on top of the cooking dish (without snapping it in place) to allow steam to escape. Scoop the rice into the microwave-safe container or pot. Fill the pot with water and swish the water and rice with your hands. Pour out the water, keeping the rice in the pot (just cup your hands around the rice to prevent it from pouring out). Repeat for 2-3 more times until the water is just barely cloudy. Add enough water to cover the rice by about 1" - or place your finger straight down touching the top of the rice. The water should meet your first knuckle (ladies or men with small hands) and just under the first knuckle (men or ladies with big hands). For 1 1/2 cups of rice, this is approximately 2 1/4 cups of water. Cover with lid. Microwave on high for 9 minutes. Let rest covered (no peeking!) for 3 minutes before fluffing. This sounds great. Can’t wait to cook my next rice dish. Thanks. I have tried this in three different microwaves now. Without fail, the lid blows off the contain between 4-5min mark. I cannot understand how no one else has this issue. your lid is on too tight without ventilation. try just laying the lid gently on top. Having a solid hotplate cooktop stove most things I cook get the slow to boiling point way. As I like rice but don’t want to add another pot to the stove I have wanted to know how to cook rice in the microwave, but put it off until now. I haven’t done it yet, but am already impressed by the method and time of cooking so looking forward to doing some tomorrow night. Made jasmine rice, I used a glass Pyrex mixing bowl and put an inexpensive Corelle plate on top of it. 12 min with my less powerful (700 watt) microwave. I ate disgusting mush tonight because i am in no position to waste food. I hate sticky rice. AND im a diabetic so i have to be careful. THANK YOU SO SO SO VERY MUCH for this article!!! I had no idea i was supposed to wash it. I have always made basmati straight from the bag. AND you are saving me from gagging down a 20# bag of sticky, gluey, mushy rice. You are my hero! Just looking for the simple way to cook rice. Thanks for making life simple. I had success using this recipe this evening right after reading This web article. Thank you inter web stranger! Made jasmine rice, I used a glass Pyrex mixing bowl and put an inexpensive Corelle plate on top of it. 12 min with my less powerful (700 watt) microwave. Being aware of your wattage and adjusting accordingly is important! I let it rest for 4 min and it fluffed up beautifully! Since I found this I have made rice no other way. I have been using this method for years. 12 minutes does the trick. Important to wash three times. Thank you. I’ve even added spices, flavors, and diced onion now to the rice and it still works every time. Woo Hoo Buckaroo! With our microwave I’ve been cooking it at 8.5 minutes and that works better for our microwave machine. I really like the knuckle measure, er, Ancient Chinese Secret. It works great too. I bought our microwave pressure cooker at a Family Dollar for $10, but who knows if they carry them anymore. They are changing their inventories since Dollar Tree bought them out oh so long ago (4 years), so one cannot count on what they stock on their shelves. 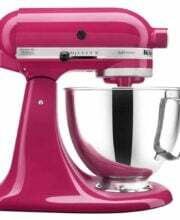 But I bought the cooker, and got another similar priced item at 50 percent off so it was just fine. I’m 62, Japanese, and have always used my finger for measuring the water. That’s how my mother did it. I know other Asians that do that so to say it’s Chinese might not be so accurate. When someone asks me rice to water ratio, I can’t tell them because I never measure! lol! 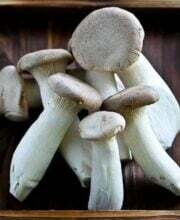 my Filipino friend taught me this method 12 yrs ago and been using it ever since, i add some stock or cinnamon bark, rinsing is key, hot boiling water too. Love your article will be trying your method soon. I just tried your method…did everything like you said (rinsed the rice, added water up to my 1st knuckle), except I set the timer for 10 minutes because I used 2 cups of rice. After it finished the 10 minutes, I set the timer for 3 minutes. After the time was up I went to check on it and it didn’t look like any water was absorbed yet! By the way, my microwave is 1100 watts. I just tried this method. Unlike the other comments, I didn’t actually have any huge issues. My only critique is that the rice wasn’t very “fluffy” or soft after I finished cooking it. I am not sure if I cooked it too long or if there isn’t enough water or both? It was probably just something I did. Any suggestions? Hi Chris, rinse your rice several times before cooking. If the rice isn’t fluffy, usually there is too much starch. When you rinse the rice, the excess starch is removed (and also dirt). Also, decrease the water a bit – if the rice is too sticky and mushy, prob too much water. Asumming you have the right amount of water try fluffing the rice with a fork and cover for a few more minutes. Otherwise add a touch more water and fluff. Just tried it, works great. I have a rice cooker and usually cooks rice in it. But wanted to try see if this method works. It works!! Fluff the rice with a pair of chopsticks and it’s so much fluffier. I’ll use this method in future if I’m cooking for one (adjust measurements & time). No need to make a whole pot! Thanks !! How do control boil over in microwave? If you don’t have a special pot, then use a larger microwave safe bowl, something deeper so that the water doesn’t boil over. Bless you for this recipe! I have since made it 3 times and everytime it was perfect. My microwave has to be set for 12 minutes because of the power. Love not having burned rice. Love clean up. I don’t wash my rice, never did. My bad but I have had no problems. Omg!! So easy and perfect the first time. I will never cook rice on the stove again. Made with one cup of rice and measured with my finger. Added salt and pat of butter. Love, love love….so fluffy! I am going to try microwaved rice after reading this. I’ve burnt rice on the stove…more than once! Thank you so much for this tip. You say to let it rest covered for a certain amount of time after cooking. The recipe never mentions covering it before putting it in the microwave, so do I open the microwave and quickly cover it before the steam escapes? I suspect that might not be what you meant. Can you clarify? If I could give this a minus one I would! “It doesn’t matter how much rice you start with ” WRONG! I just needed a small amount to mix with other things to stuff a zucchini. I put in 1/4 cup rice, washed it three times, put in water up to one knuckle over the rice in a pyrex measuring cup, covered with plastic wrap and put a couple of holes in the plastic wrap to let the steam escape. Put it on high for 9 minutes in the microwave. About 7 1/2 minutes in I could smell something burning but could not figure out what it was. . . .The rice had burned into a black chunk!!! If I could add pictures I would to show you how NOT to make a small amount of rice. Going back to the stove top and pan. . .never in my life burned rice that way! clearly you have read the instructions correctly. you used 1/6th the recommended amount of rice, who knows how much water and your complaining when you proportionally overcooked that amount by almost 4 times longer than suggested.. i put it to you that you are the one needing a minus mark. no dobt you have no idea what im saying so here it is dumbed down. 1.5 cups of rice for 12 minutes, therefore 1/4 cups(6 x less) of rice for 2minutes(6x less) of course you will need to factor in a small amount of time to bring the water to a boil since that time is included in the 12min amount and would be disproportional. Thank you for the “dumbed down” version of this method. I thought the same thing. Needs less time to cook in microwave IF you use smaller amounts of rice and water. Microwave times will vary depending on your microwave. Whenever testing a new recipe for the 1st time you should always stick close and monitor. The same thing happened to me, it was a terrible smell. AWESOME…very elucidating…but how and when do you season the rice in the process? You can add herb seasonings into the raw rice/water before cooking, after cooking fluff rice. Also, I like to cook the rice with veg or chicken broth in place of water too. Another favorite is to cut up a tomato half, snuggle the tomato into the raw rice/water, stir in a bit of salt. Then cook. After cooking rice, the tomato will be soft. Stir well. Very flavorful! i´ve been using the nordicware microwave rice cooker for years, with great results. i follow the directions included with the cooker, with a few tweaks. i use the water/rice proportions as indicated (one cup rinsed brown rice to 1.5 cups water). my go-to is the following: brown rice (well rinsed, using the basket included with the cooker). cook on high for about 9.5 to10 minutes, with the vents opened. rinse a half cup of quinoa, add to rice along with another cup of water. cook the combination for another 17-18 minutes, with the vent open. when done, remove from microwave, close vents, and leave for about 5 minutes. fluff the cooked grains to mix them together. comes out perfect every time – no water left. i cook both stages on high in an 800 watt microwave. Disgusting mushy mess. I’ll go back to following measurements. This most definitely did not work, I followed the instructions exactly because I was doubtful it would work. Well, I’m not shocked to say it didn’t work. I had the same amount of water and hard rice when I was done. Well. NO. This didn’t work at all. After the 9 minutes you suggest, I ended up with the SAME ammount of water. I had cooked rice in the microwave before following different instructions and always worked. You must have did something wrong. I found this posting about 2 or more years ago and have made it countless times, and never ended up with the same amount of water. That would be impossible because even if you forgot to turn on the microwave, the dry rice would soak up some of the water. I have had a couple of times that I was distracted while I was doing this recipe and added too much water so I strained it , then microwaved it for another min. and it was still great. Try it again. I have a 1000 watt microwave and I live at a high altitude. I used all your measurements in my Pyrex ware. I added salt and butter. The rice came out fluffy and not sticky. Just like I like it. Thank you. But, probably because of microwave watts or higher altitude, it took double the time for the rice to cook. Well worth the wait. What is cooking time for 3 cups of raw rice? Hi Kate – it should be very similar in timing. Add 30 seconds. If you DOUBLE the amount you have to PROPORTIONALLY increase the cook time! Alternatively, cook in two batches to follow the directions in this article. Phil – that’s not how cooking rice or pasta works. For example, if you cook 1/2 a box of pasta, or an entire box of pasta, the cooking time is the same, which is stated on the box. The variable in cooking time is how THICK the pasta is. Angel hair cooks faster than spaghetti. For rice in the microwave, once the water comes to a boil – the time it takes to fully cook the grain is the same, whether or not you cook 2 servings or 4. Thank you for a great recipe for microwave rice. I have a cooker whose top is similar to yours. I used 2 cups of a Japanese-style short/medium grain rice, washed/rinsed thoroughly, drained, then added 2.5 cups cold water to the cooker. Let it sit for 30 minutes, then microwaved on high for 9 minutes, with a minimum 3 minute rest. Fluffed rice with shamoji (rice paddle). Texture pretty good. Thank you! Came out perfect. Same here! I had to give it 2 tablespoons more water and renuked it and it came out great. I’m from Jamaica and this is how my mom taught me how to cook rice on the stove. Wash it and use the first joint of my index finger. “Pour in some cool water and swish the rice around to wash it. Carefully pour out the water, keeping the rice in the pot. Just tilt the pot – the water will pour out and the rice will stay at bottom. You can even use your hands to cup the rice to prevent it from spilling out as you pour the water out. Repeat this 3 times more.” — You’re washing away nutrients, not dirt. What a waste. Rice is a raw ingredient, like beans. I definitely recommend washing rice, just as I would wash and rinse beans, fresh vegetables, and fruit, prior to eating. Rice isn’t a terribly nutritious food, unless you are buying “fortified” rice — rice which is actually sprayed with vitamins — like Uncle Ben’s instant rice. I don’t know about you, but I’d rather have rice in its natural state, rather than chemically sprayed. Yeah like Jaden says rice is a starch like potatoes so they aren’t very high in nutrients anyway. Plus washing your rice is how its tradionally prepared all over then world. Thanks for the instructions Jaden. The finger measurement is so much easier than remembering ratios of cups to water. Hi, loved this article; I’m always looking for microwave alternatives, because I love to cook, but I can also sometimes be lazy and impatient. I was wondering, do you by any chance know what the cooking times would be if the quantity of rice were reduced? Like, what if I only wanted to make a single serving (as in 1/4 cup uncooked) of rice? How long would I set the microwave for? Surely not 9 minutes for such a small quantity, I’m guessing. Or would it be the same amount of time? Thanks! Similar to cooking pasta, it will be about the same cooking time. For example, if you’re cooking spaghetti for 1 person or 4 person, it still takes the same amount of time. What should I do it it comes out undercooked? Sean- cook for 2 more minutes. Thank you for the “easy-peasy” instructions, lifesaver! I love rice, but always manage to mess up the water amount. I appreciate the help with what was my achilles heel! Lol! How do I cook brown rice in the microwave? Thanks alot for your concept of measuring water using your fingers .I am loving it . I used to use instant rice! No more!! I’ve been using this method for a few months now and it works perfect every time. I use a storage container with the steam vent lid, less than $5 at Walmart. Thanks for sharing! Hi Jaden! I discovered your website because I was searching for a way to cook brown rice in the microwave. I have cooked white rice in a Pyrex bowl for years but my method didn’t work for brown rice. Thanks for sharing your method on how to cook brown rice. Btw, for white rice, I use a Pyrex glass bowl. 2 cups Japanese white rice + 2.5 cups water. Microwave uncovered on high for 10 mins. Cover the bowl with the lid and lower the power to 50% and cook for 5 more mins. 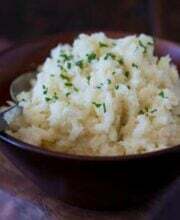 The rice is super soft and fluffy and can be served straight to the table. Hi Missy! Great to meet you. Thanks for your tip on white rice! Measuring the water level with your finger is the only way I know how to make rice! My mother was Japanese and made rice everyday on the stove top until she got her first rice cooker. I still make perfect rice on the stove but might have to invest in a microwave rice cooker. It’s just me these days so I don’t need a whole pot of rice. Thanks!!! I do 1 cup rice (basmati best) 2 cups of cold water in my cheap microwave rice cooker (big w) 10 to 12 mins, perfect for me, love It! I just love your website Jaden! So glad I found you. Can I use my Pyrex glass bowl with cover to make the rice? Just curious as I don’t have the Nordic rice cooker. 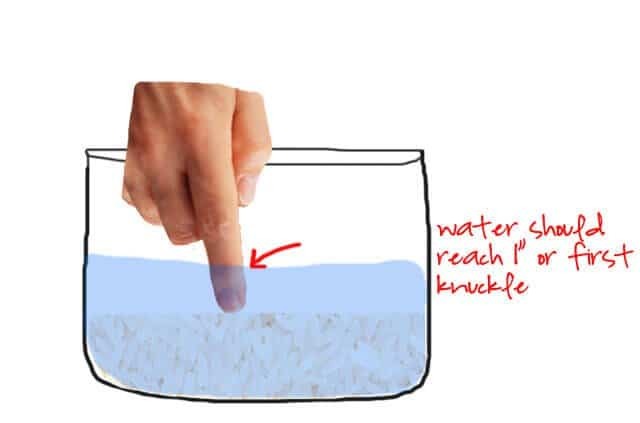 Such a nifty trick using your finger for the water measurement. This rice came out great and saved me so much time! Thanks! Yes! Your timing will be different, though. I’ll have to test it out the next time I get barley. I use any microwave safe container in cooking my rice. Proportion I used is that I used twice the water to the amount of rice. Example 1/2 cup of rice 1 cup water. Microwave on high for 9 minutes . 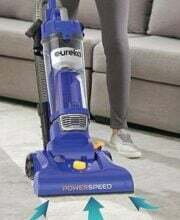 If still looking wet after resting for 3 minutesph,I cook an additional 3 minutes on 50 percent power to dry the excess water. Rice can vary in water absorption so the rule might not work on all kinds of rice. On a regular pot on stove top you can simmer the rice in the microwave you can do it by lowering the power and more time.Happy rice cooking . I read Amazon reviews for the nordic rice cooker. Lots of problems/failures mentioned. But not you. How come? Not sure! I’ve been using mine for years! I also like the Pampered Chef microwave cooker – but it’s MUCH more expensive. Did you ever post info (time/water amt) for making brown rice in Nordic Ware Multi-Pot? I just bought the nordic rice cooker per your instructions but the nordic manual explicitly states to cook the rice at only 50% medium power. It turned into a soupy mess when I did that. Our microwave is an 1100 watt brand new sharp model. DID u originally follow those instructions and decide that full power was the way to go? What am I missing? I did the one cup and finger measurement. THEN I did the full power and it boiled out the steam holes all over the place. VERY frustrated. I have similar watt model. Try 75%? I always use 100% power. Hi Lisa my name is David. Very easy to do rice. Always remember one cup of rice to cups of boiling water .put the rice into a saucepan heat the rice on num 2 elec with a little oil . Then put the same amount of hot water in the pan.this now should bubble up one’s that happens trun down to the lowest possible heat put the lid on tight. Wait 15 minutes and all will be ok .Take off the heat and wait 10 minutes and serve. Happy to help you . Good results all the time. I have a few questions about microwaving rice. If use a 1/2 cup rice I still use i inch water rule? Second, should the rice be rinsed until it is no longer cloudy? Third, by rinsing rice aren’t you throwing vitamins and minerals? Hi Alfred – Thanks for your questions. Rinsing rice is a must – because it’s a “raw” ingredient straight from farm to your kitchen. Raw beans are similar….when you buy raw beans, they always instruct you to rinse and pick out little rocks. Raw rice might have dirt, dead bugs/mite dust, etc. Though some might consider those “vitamins” LOL. The vitamins from rice comes from the outer coating (like brown rice) not necessarily the dust that accumulates on each rice grain. I highly suggest rinsing rice until LESS cloudy. Rice will never rinse clear because it’s a starch. Generally, I fill bowl with water, swish with hands for 5 seconds, drain, and repeat 3 to 5 times. The Asian method of measuring water works like 99% of the time. The only time it doesn’t work that well is if you are cooking less than 1 cup of rice. I’ve never cooked less than 1 cup of rice – mainly because I always find a way to use leftover rice! For leftover rice, I love the Japanese breakfast of Ochazuke. (here’s a recipe from scratch from my chef friend Marc) If you have an Asian market nearby, ask for the instant Ochazuke – which is what we use. Here’s the brand we love. When I cook rice in microwave then water comes out from pot ,what to do. Leela – you might need a bigger pot, or just set the pot on a large plate to catch the water. What kind of lid are you using? I love this one: http://amzn.to/2lE7WuE It prevents boiling over. l used your instructions and the rice came out really good. Thanks for the tip. Hi, what if I only want to have 1 cup of cooked rice, is it still 9 minutes on high? Thank you!! Has anyone tried using plastic wrap if you don’t have a lid??? just curious! I wouldn’t recommend using plastic wrap – it’s such a long time in the microwave and the wrap isn’t the best way to cover. Try just using any microwave safe lid, just placed on top. Even if it doesn’t fit perfectly, it’s fine. I’ve used a glass Pryex lid. In fact, if you have a Pyrex or Corningware dish with lid, that works. I have a question. I inherited a Nordicware Microwave rice cooker without any recipes. 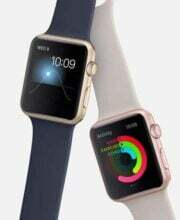 It is a 2-piece gadget. I see you used only the outer part. What do we use the inner part for? That’s for steaming vegetables. But I really don’t use it all. Thank you for the wonderful and simple instructions! Your article enabled me to finally make perfect rice in my microwave! 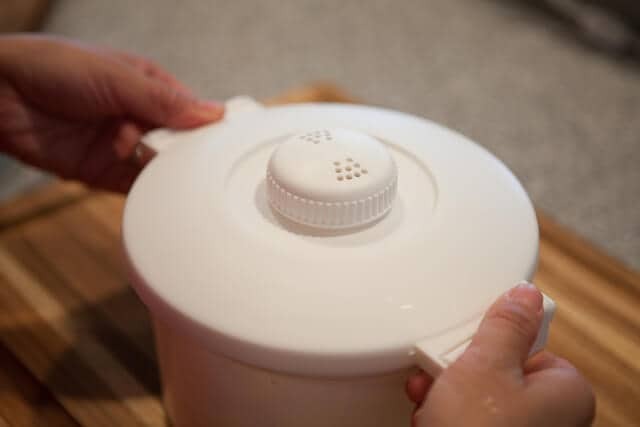 If you have a lid that seals very well (think Tupperware containers) then you can’t close tightly – the force of the steam might pop the lid. Just set the lid on the pot, so that some steam can escape. What about new crop jasmin rice? i hate rinsing out the rice to get rid of that ” cloudy water” cuz it make the rice taste better and stickier to me. So please could you tell me how to cook the new crop jasmin without washing it first. Hi Noki – just don’t wash it at all – same technique! Can I double the recipe & use your finger technique for the water? Do I need to cook it longer than 12 minutes? Yes, you can double the recipe with same technique. 12 minutes is fine. I think you are confusing instant rice with Uncle Ben’s par boiled rice. Par boiled rice actually has twice the flavor, texture and health benefits of the rice you are recommending. I learned the finger method from a friend of mine that was a chef at an Indian restaurant in NYC’s Little India about 30 years ago. It seems counter intuitive that it doesn’t matter what size or shape cooking pot you use, but it doesan’t make any difference. I have used this measure for years, using a stovetop pot, too. I love you – you just changed my life for the better – thank you!!! Thank you so much for this. I have attempted and failed so many times at making rice in the microwave that I reverted back to the saucepan and hob. No more! Yummy rice in far less time. Thank you so much for sharing this ‘secret’ method. I was cooking pasta dinner (tonight) for the fam, every burner in use on the stove but I wanted rice! Found your instructions, whipped out my microwave vegetable cooker and voila – perfectly cooked rice that was done at the same time as the rest of the family meal. Yea! Wow ! ! ! I’ve been cooking rice for years..never ever getting it right…not even in rice cooker ! I’ve got microwave cooker so I took plunge and followed your recipe right down to using water level using finger knuckle to check water level….omg..
unreal..rice cooked it also tastes really yummy. I’ve given your recipe to Indonesian friends they too very happy. My Mom used an electric rice cooker, my MIL uses the pressure cooker, and I used the Lekue Microwave rice cooker that my sister gave me. But we all use the finger method. It IS an ancient Chinese secret!! haha! I´ve been looking for this instructions for a while. Could you do one article like this for cooking quinoa in the microwave? Can you tell me how much rice would be right for one ? And how long would you microwave it for ? As for water the ancient Chinese method would be the same ? The least amount of rice I’ve cooked is 3/4 cup. That will make enough rice for 1. Yes, the method is the same, but use a small diameter pot. 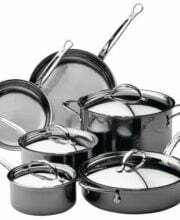 What is the cooking pot that you use? Any specific brand? Can we use normal caserole but uncovered? Thanks for the helpful info. I bought one of these same rice cookers but I only paid $1 at the local 99 cents only store. I just lost the directions. thanks and enjoy. I would certainly think size does matter. 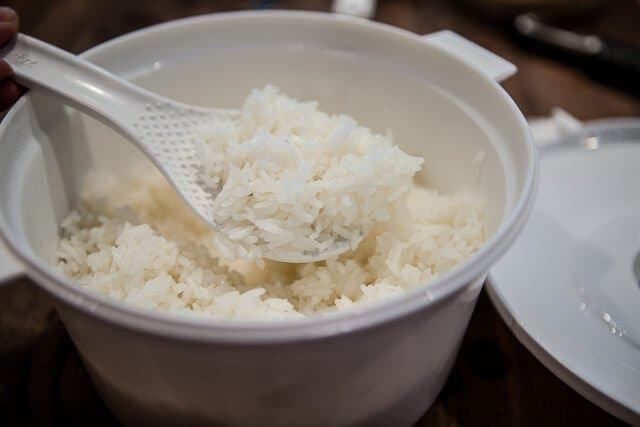 If you had a container that was one inch in diameter then over covering to one inch with water would yield dry rice and if you had a one foot diameter vessel, you’d end up with watery rice. I have the same type cooker and I’ll just keep using a 2 to one, water to rice measure. for a 12 inch diameter column pi * 6^2 *1inch yields 113 cubic inches of water on top of the rice. Jay – giving you a standing ovation….THANK YOU!! Thanks for your wonderful tutorial. 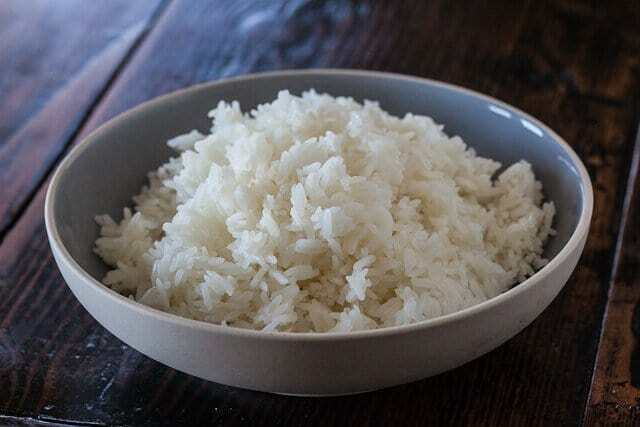 As an asian I can confirm this is the ancient technique for measuring the water for rice. The clever thing is, because rice and water settles evenly due to gravity, the displacement of the rice in the bowl will always be the same. That is why you need precisely enought water to cover the rice plus one inch of water. If you do want to measure out the water, it is 2 times the water to 1times the amount of rice. E.g. 1cup rice, 2 cups water. I found cooking it in 3min bursts, stiring and checking each time for 3 to 5 times, helps less bubbling over and is good if you are unsure of the power of your microwave. Diameter of pot won’t matter – well, unless you use a massive pot with very little rice. That’s why this method works brilliantly. Measure water from the TOP of the rice. If you were measuring from the BOTTOM of the pot, then yes, you’d need measurements. Why waste any money on a microwave rice appliance? I have been cooking perfect rice using just a stoneware bowl for the last 2 years. In fact any bowl that is suitable for microwave cooking is fine. Do you have instructions for cooking beans in a microwave rice cooker? I’ve been cooking rice in the microwave using a microwave pasta cooker. I use exactly double the amount of water to rice ratio. I add garlic and onion powder and a pinch of salt foe every cup of water. I also throw in a dash of olive oil. I let it sit for about a half hour then add a dab of butter and fluff. Super perfect rice! That “ancient Chinese secret” isn’t that much of a secret, a lot of people in Asia use that method. It is not reliable. Use measuring cups for consistency. I’ve never really heard of someone mixing different types of rice since it is difficult to measure how much water you will really need since different types have different water needs. with water or without water. then with water 2″, you might get some kind of dry rice. with water 3″, then you get some kind of muddy rice. If you want to get rice soup, try without water 1″, with water 4″. Therefore, it is not about how much water you have but it is about the ratio. You just use your finger as a ruler. My ultra small apt only has a microwave & very small refrig so this recipe for cooking rice in a microwave came in very handy (esp. since I love Chinese & Thai food.) I followed these great instructions to the letter & was rewarded with fluffy steamed rice without having to “wait” as I used too when using my rice cooker. P.S. I cooked my rice in a glass container & don’t know if this made a difference but when cooking the rice I set the microwave for 5 mins. then, stirred the rice so it would have a chance of being evenly cooked; then continued to cook the rice for 4 more mins.. Then, I covered the rice for 3-4 mins. When I removed the glass bowl (of course I used heatproof mittens) the rice was so fluffy & I was more than pleasantly surprised. I’m sharing this w/all my friend who also love “rice” but don’t like having to “wait” for it to cook properly…now they can have the rice in about 15 mins. from start to finish. AMAZING!!! Thank you!!! Is the nordic ware microwave rice cooker made of ceramic parts? I’m kind of paranoid about plastic microwave parts. That particular one is plastic. 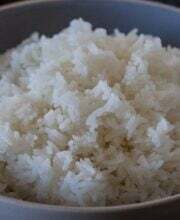 I understand to measure rice and water with finger it does not matter the amount but what about cooking time…I am sure it needs to cook longer and what about brown rice? Cook longer?? Cooking time is the same in the microwave for small amounts. If you’re cooking for a massive crowd, I’d rather do this on stovetop than in the microwave. Thank you for this post. I’ve been pretty good (in my own opinion, anyway, haha) at cooking rice for many years, although I would on occasion end up with too much water or burnt grains on the bottom of the pot when I wasn’t paying attention or bothering to draw on my previous knowledge, LOL. I was on the lookout for a faster (and more importantly) easier way of cooking rice. (I suspect that one of these days, if I research it enough, I’ll be able to just look at food, and it’ll cook itself. 🙂 I came upon this recipe and gave it a try. I don’t think I’d ever heard of washing rice to get the excess starch off or of the “Ancient Chinese Secret” of measuring the water with one’s finger. I tried both this time. You made this so simple a child could do it. Thanks it’s just what I needed. What a fantastic recipe this is for cooking rice. I have to admit that I didn’t think that it would work, because I’m a single male and I don’t want to cook more rice than I can eat, which 1.5 cups of rice would be way too much for me. So I put in a half cup of rice and cleaned it (I bought the cheapest grocery store brand of white rice). It took 4 washes for me to get most of the cloudiness out of it. I live on a limited income, so I just used an ordinary microwave safe storage container without a vented top and because of that, even though I just rested the lid on the top of the container, it kept foaming up and I had to stop the microwave on several occasions to let it settle so that it didn’t make a big mess. After cooking it for 9 minutes and letting it sit for 3 additional minutes, I checked the rice and it still had some water in it and was still a bit firm. I managed to find a vented lid from another container and set that on top of the rice container, microwaving it for an additional minute and it came out as perfect as I have ever seen. I will be using this recipe over and over again. Thanks so much for such a great rice cooking idea! I have just tried this recipe again and discovered that the cooking container doesn’t need to be covered since you aren’t simmering it like you would on the stove. In fact if you watch the cooking process, just let it cook until there are no more bubbles coming up and then it’s done. The EASIEST, BEST way to cook rice is the Yogi way. Bring water or stock to a boil, toss in rice, stir once. Cook like pasta. Taste test after a few minutes until rice is done. Strain. PERFECT FLUFFY RICE every time. I have never been able to cook clump-free rice. Always wondered how the restaurants did it. Now I know. Excellent directions. Highly recommended. This recipe has been added to my cookbook. Many thanks!! I’ve always wondered about the 1″ measurement. Wouldn’t the diameter of the pot make a difference? 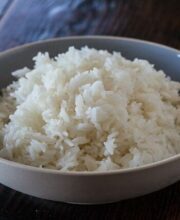 For the same amount of rice, it seems like if the pot was wider and shallower 1″ would allow for more water, or if it was taller and narrower, then less water. Or not? Hi Jackie – since the inch is measured from the TOP of the rice grains, and not the bottom of the pot, it is a more accurate measure than size of pot. Measuring from the top of the rice grains takes into account the size of the pot, how much rice you’re using and the width of the pot as well. The dimension does matter 1″ is the volume above the rice (that means the rice could be in a swimming pool for that matter). Use it as guide, I always have t adjust a little for different pots and cookers. Nobody will obviously cook the rice in a swimming pool, use sensible sized pot. Oh my God! You are a genius! It totally works. Inhave to admit I was skeptical at first, but it turned out sooo good. When do you recommend adding salt? In the water before cooking? I was diagnosed with a stomach virus & told to be on the BRAT diet for the next 2-3 days. Bananas Rice Applesauce Toast diet. … currently my stove isn’t working so I Googled right into this gift from God. This rice came out better than any rice I’ve cooked on the stove. Thanks for sharing! I googled it, and your website was what i was looking for!! 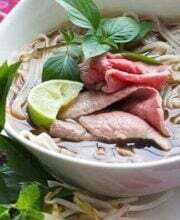 I knew some Vietnamese people, at one time, and this is how THEY cooked it! We cooked it on stovetop, but I only have a microwave right now, in a motel! hahaha! Crazy! But, this is what I have to do right now…My crockpot is too slow to cook rice, the way i want it. I have pyrex & I have only paper plates or a nordicware plate to use as a lid. I’ll just set it on top & do it! ((I figured out how to cook pasta in the microwave too! It turns out great! )) THANKS SO MUCH!!!! Thank you! Nordicware doesn’t have instructions for using this on their website and I tossed the directions after I got used to using it for steaming veggies. Will this method get your rice to a safe temp.? Using an 1100 watt microwave oven. Because I live at nearly 4000ft elevation and water boils at a lesser temp than 212 degrees. This Recipe is possible no matter what elevation your at. This is a lovely write-up, and verifies my own experience. Thanks for the information in an easy-to-absorb (pun intended!) format. I wish I read more clearly this post before I tried my 1st attempt! The box said to cook on 50% while your instructions say to cook on High. I went with box instructions because they were right there and the rice was par-cooked and so disgusting! 🙁 I will now try it again on HIGH! Lesson: Trust Jaden!! 🙂 One random question, do you think microwaving uses more energy or an electric rice cooker? Husband is questioning my use of microwave rice cooking for that reason! God, this page saved my Asian soul, since I cannot cook rice in a regular pot to save my life (but my Asian mother can). I have no money so I can’t afford a rice cooker, but have a microwave…this works perfectly, even without the fancy tight cover thing (I just put a bamboo plate over the bowl). THANK YOU SO MUCH. This works great! My microwave is low-powered though, so it came out sliiightly undercooked but not too bad. I figure an extra three minutes in cook time and it will be perfect. Thought is would let you know I tried this method with organic quinoa and it worked perfect! I used a small ceramic crockpot and its lid to cook it and it was perfect. Thanks for the idea! I cook mostly brown rice now but in the past cooked white. I use a 2:1 water to rice ratio for brown rice. Now, to keep it from boiling over, it doesn’t matter what your oven wattage is, just remember cook it in 2 stages: stage 1 is cook it whatever time in necessary on FULL power to boil the water. Stage 2 is then immediately reduce your oven’s power to 20%-30% for the rest of the cook time, just whatever is required to simmer the rice, not make a big rolling boil that spills all over your oven making a mess. For organic brown rice, I use 2 cups water, 1 cup rice, and 5 minutes at full power to boil, then at 30% power for 45 minutes. Let it sit for 5-10 minutes when the oven shuts off, fluff, and eat. Perfect every time, no oven mess. If you let it sit longer than 5-10 minutes when done, no problem; it will stay hot a long time. This method is very forgiving, (would be “has a wide exposure latitude”, in photography). I’ve cooked rice in the microwave now for almost 20 years and wouldn’t do it any other way. My stovetop rice was always hit or miss but this solved my rice problem. The author’s method of cooking rice in a microwave will work for everyone, but with EASY adjustments: (1) Measure your rice and water. (2) Make adjustments on cook time. (3) Use a plate to catch rice water that boils out. I will expand on those 3 things. There are 2 errors in the author’s cooking time advice. Her advice is dependent on (1) the microwave wattage, (2) the length of the perimeter of the bowl that you cook in, if you use her 1 inch of water method. The bigger the perimeter/circumference of the bowl the more water you would be adding, which would change the cooking time needed. So, if you cook rice this way and it does not turn out well, just change the cooking time and/or amount of water. Better than using the 1 inch method is to measure the water and rice. It is easy to remember to just use 50% more water than you did rice. So 1 cup rice and 1.5 cups water. 2 cups rice and 3 cups water, etc. Or you can use a different ratio if you would rather. A ratio of 1:2 would also work but require more cooking time. So choose your ratio of rice to water. Now to determine your microwave’s cook time, which will mostly depend on wattage, but could depend on other factors some. It will help if you use the same bowl or type of bowl every time that you cook rice like this. Also, the same cover or type of cover. But it is not mandatory. I personally avoid microwaving in any plastic container. The first time you cook the rice you will just have to guess at the cook time. 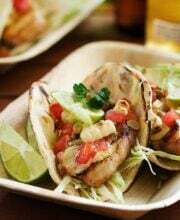 You will figure out the cook time quickly, in just 2 or 3 attempts. Lastly, as several people found out, the rice will boil and come up out of the pot and over the edge and down on the microwave tray, making a mess in the microwave. This problem is easily solved by putting the pot on a microwave-safe plate that is wider than the bowl and has a little depth. Now the rice water that comes out of the pot will just pool on the plate. Just don’t spill it when you take it out of the microwave and everything will stay clean. After the rice is mostly done, let it sit for a few minutes in the microwave without taking the lid off. Stir as soon as you take the lid off. This is great, I usually don’t know how much rice to cook, especially if my husband suddenly wants to eat more and the rice i cook is not enough.. then he’ll need to wait for the rice to cook :)) now i can cook rice even faster.. Thanks for the microwaving-rice advice! Wonderful. Thank you. 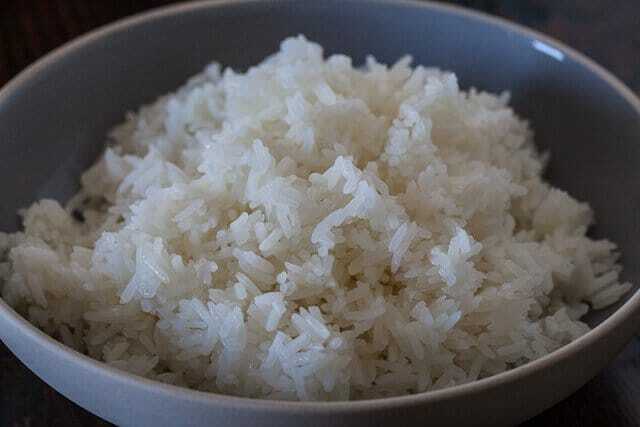 Finally MY white rice turned out good. lol. people usually passed my rice because it was gummy. I tried it your way last night and not one grain was left and everyone was happy. Thanks again. 5 lbs of red rice on sale at my local Ralphs (Krogers) for $1.99! It took 20 mins in the microwave (not sure what wattage my apt microwave), but otherwise it turned out perfect and still took less time than boiling and simmering on the drive top! 😉 thanks for this tip! Totally awesome with the knuckle thing.I’m originally from the Caribbean and I thought we were the only ones to do it. Nice! I was looking for your instructions on brown rice now? Thanks so much for these instructions. I’ll have to look for that cooker. I’ve been making my jasmine rice (not converted, I hate that stuff) on the stove top…..sometimes gummy, sometimes not. I do not know what is the SK store. I have been microwaving rice for a few years now (a pretty standard recipe: 1 cup Uncle Ben’s converted rice, 2 cups water,1/2 tsp. salt, 2 tsp. butter; combine in microwave-safe bowl, cover and cook on high for 8 minutes. Reduce power to 70% power for 15 more minutes. Let stand for 5 minutes until water is absorbed); but I would like to be able to cook a smaller quantity in a pinch and would have to decrease cooking times. Do you have a microwave recipe for 1/4 cup rice (again, it would be for Uncle Ben’s converted)? I have no idea how to calculate the reduced time that would be applicable in this case and your help would be greatly appreciated. Thanks in advance! I’ve had this same rice cooker for “YEARS”! I love it and I’m lost without it. Sure, you can cook the rice in a Corningware dish, but this works great and in less time. Mine also came with a straining basket which makes it easy to strain the water after washing. In the Corningware version you have to cook the rice for 20 minutes instead of 9 minutes. I couldn’t remember where I’d bought this little gem of a rice cooker or what it was even called, so thanks for letting me know where I can get another one for our cabin and one for my daughter. Also, Something else that makes the rice nice is to add a small pat of butter and a pinch of parsley before putting it in the microwave. Yummy! Dude you are cooking with plastic in the microwave?… Just watch the movie “Bag It”. Then report back to me. Most plastic is BPA Free, especially for microwave use. I use Pampered Chef brown plastic pot with lid with drain holes to cook perfect basmati rice for years. Place one cup of rinsed rice plus one and three quarter cups hot water in pot, cover with lid and microwave eight minutes at 60% power. Remove from microwave and let sit ten minutes covered. Do not uncover at any time before this. Now remove cover and fluff rice with fork. I use a 700W. microwave. 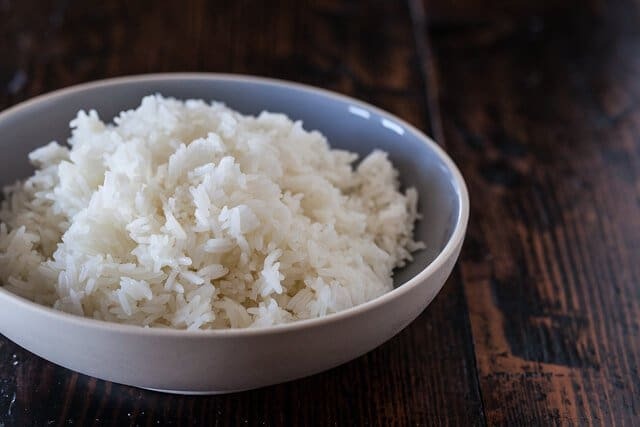 A simple foolproof way to cook rice on top of the stove is to put rinsed rice in a pot, cover with cold water to one inch above rice (measure with thumb nuckle). Cook on high heat uncovered until holes appear and water is below surface of rice. Cover with lid and SIMMER for ten minutes. Turn off heat and let sit another ten minutes. Do not remove cover at any time until ready to serve. of the time, or something like that. Have you tried the microwave rice cooker from Tupperware? They have two sizes, the large one is about the same capacity as the Nordicware one that you mention, the small one works nicely for single serving. Thanks for this post! I was looking for simple to remember quantities and timings and this is perfect! 1 knuckle, 9 minutes. Both n words – alliteration works for me! I usually put my raw rice in a small wire mesh strainer and under running water, shaking gently for a while. This washes out a lot of the starch and cuts down on all the rinsing. If I am busy I even skip the final rinse and go directly to the water. Also don’t forget to salt your rice. I’ve been trying to find a good microwave-rice recipe (I just bought a microwave rice cooker from Pampered Chef) and yours looks the easiest to understand and manage. Big thanks! hi…I have a specific problem and would be grateful if u could help me out? When i cook Dum Aloo Biriyani the very top layer of rice dries, its too crispy,and quite frankly hurts the teeth. Any ideas how to prevent this?I have a tight fitting lid on my cooking vessel but is it tight enough? Just under the surface rice its just perfect,but alas the top is letting the side down. No mention of Microwave power! For this to turn out perfect what is the Microwave Watts? I have a 1300 watt Microwave and don’t want to burn the rice! Sorry to hear about your Shari. Have you had the time to figure out the instructions to microwave brown rice? HI THERE FRIEND ! PLEASE EXCUSE THE CAPS-LOCK , I SUFFER FROM POOR EYESIGHT , SO I DO NEED TO USE THEM TO SEE CLEARLY . 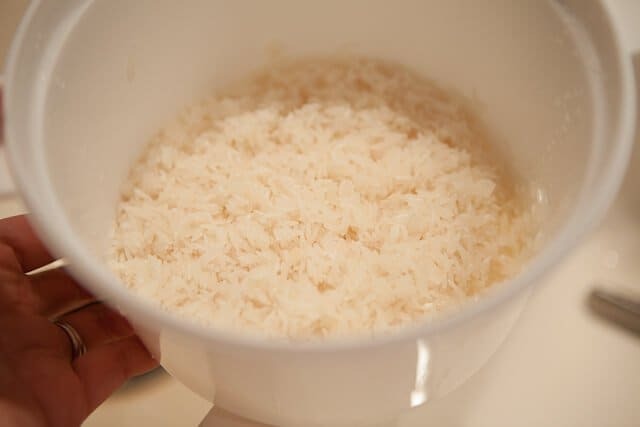 IF A PERSON WANTED TO USE THIS METHOD TO MAKE PLAIN , BASIC RICE COOKED IN CHICKEN BROTH , HOW MUCH PLAIN BROTH – AS OPPOSED TO WATER THAT IS – WOULD THEY NEED TO USE , AND JUST HOW LONG WOULD IT NEED TO COOK FOR ? HI DIANA – GREAT QUESTION! USE THE SAME AMOUNT OF BROTH AS YOU WOULD WATER. 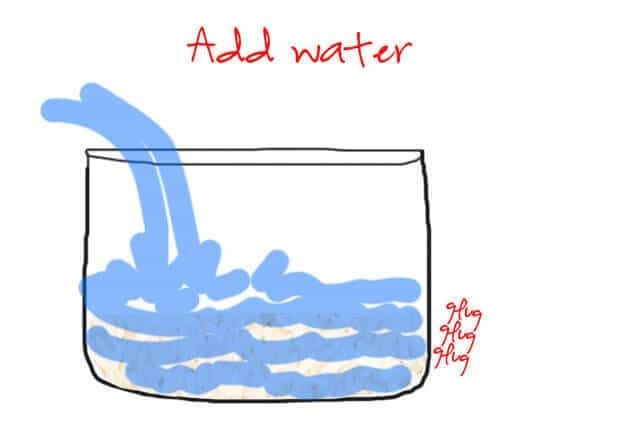 BASICALLY, YOU CAN SUBSTITUTE THE WATER FOR ANY TYPE OF LIQUID WITH SAME MEASUREMENTS! I ALSO LIKE TO ADD A SPRINKLING OF DRIED HERBS TOO – OREGANO, BASIL, THYME – TO THE BROTH BEFORE COOKING. IT ADDS INCREDIBLE FLAVOR! Rinse and drain 2 cups rice well and put into an 8×8 Pyrex dish. Pour boiling water over rice and cover the Pyrex dish tightly with foil. Place in the middle of the preheated oven for 20 min. then wait 20 min before serving. This was very disappointing. I followed your method to a “t” in a 2 quart casserole dish. The water boiled over and made a huge mess in the microwave as a previous poster stated. Even after the sitting time I pulled the rice out to find a pool of water still over top of it! :/ I had to scoop out most of the excess water and zap it another 3 1/2 minutes to make it edible – yet no where near perfect. The tip about rinsing the rice is a good one, the rest of the recipe didn’t work for me at all. The pot used to cook rice in the microwave should be deep DEEP D E E P. The microwave steamer/rice cooker is approximately 6 inches deep. I was a stickler for measuring until I found Jayden’s easy instruction. Perfect rice every time. I just made rice like this earlier today for rice pudding. This is the easiest way to make perfect rice every time. After i get my rice, I add the milk and sugar and sprinkle on the cinnamon for yummy rice pudding. My dad used to like to mix in some raisins, too. We just have a plain old $88 Walmart microwave with no fancy buttons so i just hit the on button.Still works. Hope everyone else enjoys it. Have you ever made black rice before? 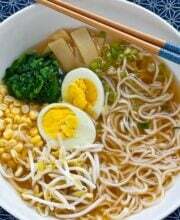 I love the taste but everytime I make it, it’s either undercooked or overcooked. I’ve never managed to get it nice and fluffy in my microwave and I don’t like cooking rice on the stove. Any ideas? Hi Ruby – black rice and wild rice are both a little tricky 🙂 I haven’t tried cooking either in the microwave – but I have had great success over stovetop or in a rice cooker. I’ll have to put that on my list of things to create a video tutorial about. Well, I have cooked both Jasmine and short grain your way , the results are ok but not great. Firstly, the water boils out of the microwave container and spills over the tray. Pain in the arse. You have to clean up the milky rice water that goes everywhere. Use a sponge to do that. After letting it sit I find the rice is dry and a bit undercooked at the top, and too wet at the bottom. So, I stir it around and then microwave again for a minute and let it sit again and it is better. But this is nowhere near the perfection you can attain by cooking rice on the stove top in a heavy bottomed pan with a good lid. Washing the rice in a strainer, using the sprayer on your tap if you have one, or the tap, removes the excess starch very well and I find quick and simple. Brilliant instructions!! You didn’t say the power of your microwave though and I had to add a few minutes … I did 3 different kinds of rice for a salad and this was by far the easiest method I’ve ever used! Wal-mart has a general purpose microwave pot with a handle and a vented lid that doubles as a strainer. A very useful size for lots of things too. I need to get me a rice cooker 4 my microwave. take a 2 qt covered microwavable bowl, make about 6 small holes in the top for steam to escape and follow the approach noted above. it will cost you about 3$. Wow, this is amazing! It’s just like straight out of the rice cooker – and much better than oven cooked rice. And easier and faster! Thank you! *I’ll have to write separate post on how to microwave brown rice and wild rice next time – different water + timing instructions”…It’s August 5,2013, 12:39am…if you wrote the above post, where might we all find it? It would be greatly appreciated..
Hi there! I haven’t written yet, thanks for reminder. it’s on my to do list for this week. Hi there, I stumbled on this site just from a search on Google, and I am also waiting for when you get to the brown rice post ^_^ I hope it comes up in the search again when you do write it. Or, may I ask for an email when you finally have it up? What wattage is your microwave? my old mw was 900 watts, my new mw is 1200 watts. there is a huge difference between those two. the approach to microwaving rice is a good one. it, my 1200 watt, puts out tremendous rice every time. the old 900 watt never got it right even though i fiddled with time. i think the biggest variable in how effective microwave cooking is is the quality of the microwave. Thanks for the great tutorial – and fancy-schmancy illustrations! Yes, I have one from PC. love it! Thanks for the tip about the inch of water on top of the rice, I’m sure that’s the info I need to get my rice up from pretty darn good to perfect! One pet peeve I have with microwave stuff though: when they just say ‘set to high’ and not to a specific number. ‘High’ on my old microwave was 800, my new one goes up to 900. And it does make a big difference. Have you found this too? Any thoughts to solutions? Best rice cooking way seen so far! I tried with microwaveable (may be Pyrex) round glass one and put china plate on top. Came perfect and could see what is happening and texture of rice! Next time, I will put a paper towel on microwave glass for easy clean up. Its great now am using microwave in cooking rice. thanks guys for this stuff. If you wash white rice to remove the nutrients and you are eating a food without any food value. To cook perfect rice measure the quantity in a container, add some salt, and use double the measure of water. ( 1 mug rice 2 mug water.) the water can be boiling from a kettle. Pan on stove bring the contents to the boil, stir once, if cooking on electric stove , cover with well fitting pan lid, turn off heat and leave 20 mins to half hour, or longer if desired. 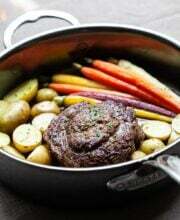 If using gas cover pan and reduce heat as low as possible, and continue as above. Little heat used and pan is quickly washed with a little cold water and brush, and left to dry, usually on the still warm ceramic plate on my stove. Your rice will be dry and fluffy, and nutritious. It never fails. If you don’t wash the rice, you’ll be eating nutrients from little bugs. Rice is a raw ingredient, meaning it’s not processed. Similar to beans, you want to wash and pick out anything that’s not rice. White rice has very little nutrients in the first place, not sure it’s worth the risk. Crack open any Asian cookbook, you’ll find that washing the rice is essential. White rice isn’t eaten for its nutritional value. You are better off eating a potato if you want nutrients. Some people eat it because it is cheap and filling and some people eat it for carbs, but I don’t know of anyone eating rice for nutrients over vegetables and other things. Unwashed rice can come with small rocks, dead insects and even nastier things. Did you ever come up with a method for brown rice? Asking questions are actually pleasant thing if you are not understanding something totally, except this piece of writing offers good understanding even. Got my Rice Cooker from Amazon and I really love it. 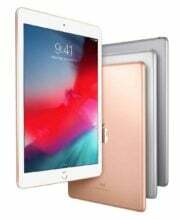 I’m so excited that I would like to share the reviews and discounts that I received: http://amzn.to/17FWw8X – One happy lady here. If you want to double the recipe to 3 cups of rice, should you microwave the rice longer than the 9 minutes? Hehe, was just browsing when I saw the article title and decided to check it out. Let’s just call it “ancient asian secret” for cooking rice… My family’s from the Philippines and that’s how my mom taught me to cook rice (in a regular counter-top cooker or in the microwave). The plastic microwave rice cookers are common all over asia thanks to the Japanese popularising it for those living in tiny apartments, with tiny kitchenettes. Discovered Steamy Kitchen while, rather desperately, searching for a source for a replacement Nordic Ware plastic rice cooker. Although originally a Doubting Thomas about microwaved rice — tried it once 39 years ago (!) when a kitchen remodel left me without a stove for more than a week, and it took longer than on a stove top — the Nordic made a believer of me. 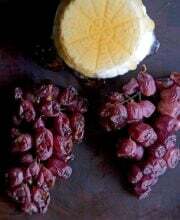 The steamer basket is a plus, both for steaming vegetables and for rinsing fresh fruit, especially blueberries and grapes. For some strange reason I couldn’t find the cooker on Amazon, but your link worked just fine. Thank you, and I’ll be checking your site in the future. First time to your site. Impressive. 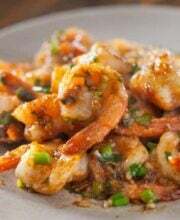 My new favorite Thai cooking site. OMG — this is just amazing!! I consider myself a rice snob too — Uncle Ben’s is soooooooo not for me and I actually pitty those who think it’s “good” rice. 9 minutes to cook rice? OMG! That puts my own Zojirushi to shame as well! OMG!! I am so looking into this for a present to myself — because I hate to lug the Zojirushi out to make rice when I’m craving it “just for myself”…then I usually end up not having rice. Oh no, you’re spilling the Ancient Chinese secret of measuring water for rice! 😉 My grandma taught me the same way, and it has definitely worked out for me just fine. So glad you can make rice in the microwave now, with GREAT results! I love the Photoshop skillz part, you made it look so easy, I always have trouble with the water quantity. That is exactly they way my mom showed me how to make rice measure with your finger and the rice is perfect each time. I have been baking rice in the oven for years with awesome results, but I hate turning on the oven in summertime. This is the perfect solution for me, Jaden! Thanks for sharing this method! Tip: make sure the container you use is big enough. I obviously put too much rice in my Corningware and it boiled over. BUT! The rice still came out just right! I have lots of friends and family who use this ancient *Japanese * technique for measuring rice, but until now I’ve never understood what they were actually doing! Thanks for the step by step explanation. In a regular rice cooker I get great rice by draining the rice in a strainer for 10-15 minutes after rinsing and then soaking for 30 minutes to all day after adding water. I usually cook on the stove top, 20 mins and no problems. The microwave would save me time but do you use cold, warm or hot water. I ask this as I’m so use to my ‘instant hot faucet’ that I use for most cooking projects. Hey Olivia! Nice to meet you! We just spent a few days with my parents in Vegas. Hope to meet you soon! Thank you!!!! I’m making rice this way from now on!!! Thank you, and I appreciate the prompt reply. May I ask how many watts does your microwave use? I have an 1150 watt unit and it cooks way faster than my old 750 watter and power will definitely affect the cooking times for pretty much everything you place in it. Love your post, especially love that “Add water glug glug glug” picture lol! Shannon, I just had to tell you that I can relate to your post. My mother’s recipes and amounts are ambiguous, too…amounts are given as “until it looks and tastes right” or “as much as you like,” directions that never fail to make me crazy! I’ve tried to follow behind her and guesstimate, but it is nice to know Jaden has our backs when our mothers can’t explain!! Just thought you might like to know that Pampered Chef’s microwave rice cooker works beautifully using your method too–I was so much happier with our rice after following your directions, even though the rice wasn’t “bad” before. Now I just have perfect, restaurant quality Jasmine rice. Too bad it was more expensive than the Nordicware one, I feel gypped! (Of course, I only bought it out of guilt trying to help a friend with her business, so at least it is a useful kitchen thing now instead of a dust catcher!) It is absolutely wonderful, I am so glad I started following your blog; you never disappoint! THANK YOU. My mom does this–and I’ve seen it every night of my life until I left for college–and I do it when I make the rice around her (but I really just eyeball it?) but I never knew what to look for when I used my finger. And that is the story of how I continue to pretend I understand things I do not. Do you worry about microwaving plastic? I would love to cook rice in half the time, but I am scared to death of putting plastic in the microwave. How can you be sure it is safe even if it is made for the microwave? No, I don’t really worry about that. But if you are, use glass Pyrex or Corningware dishes to cook the rice in the microwave. do you think this will work with brown rice? i bought korean brand brown rice which was 50% hulled. Water level and timing will be very different….I’ll test soon! haha. The microwave sure can be a underestimated tool of trade. I know rinsing rice makes it fluffier, but it also rinses away the added minerals, including iron and b vitamins, which are very helpful for those with dietary restrictions (or who don’t get a balanced diet). My household is gluten free, and we often struggle with balancing the intake of vitamins and minerals to avoid supplements. Just wanted to put that out there…. Hahaha this is so crazy to read because I’ve been using the same trick for years but I didn’t know it was an “ancient Chinese secret.” 🙂 Thanks for confirming that it works! what a great post! so helpful with the photos! And, of course, I’ve taught this first knuckle trick to my husband, daughter and granddaughter. Love your mad photoshop skills! And your rice cooking microwave skills too! My mind is blown. I have an awesome rice cooker too but this intrigues me! Interesting post. My grandma taught me a slightly different method of measuring water (lived in Hong Kong 60 years before moving to the states). We had an 8 (I think? it was HUGE) cup rice cooker growing up, but usually cooked about 3 or 4 cups most days unless there was company over. It’s always interesting to compare and learn techniques. Thanks for sharing! I’ve never tried making it in the microwave before, but may have to give it a try, since the shortened cook time is rather appealing. No boils over? Thanks for the water level tip! Great post! I have a similar rice cooker but I’ve never cooked rice in it (it’s great for steaming vegetables!) May I ask if you could tell me the power rating, or wattage, of your microwave? 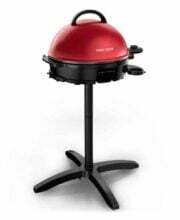 Mine is 650W – it is quite old, and I understand more modern micros are more powerful, so I will probably have to adjust cooking time. Good luck with the remodelling project! I have used the microwave to cook rice for years. I rinse the rice and use 1 cup rice to 1 3/4 cup water, a little less water if I’m going to use it in a stir- fry. I put it on 5 minutes at full power then 20 minutes on medium low ( power level 3 of 10). Comes out perfectly every time, and no “boiling over”. I’d love to see you do a post on brown rice like you mentioned. I’m going to have to try this although I have no trouble making mine in a pot on the stove.